Filming the hit television series Boundless, Simon Donato has raced thousands human-powered kilometres across the globe—from the frigid tundra of Iceland to the searing heat of the Sahara, journeys that strip away the regular trappings of life and pit us against ourselves and the natural world. There are no modern conveniences to lean on as crutches, and every metre gained is earned through both physical and mental effort. In his compelling first book, Donato details the quest for adventure and the opportunities to test ourselves in a very primal way—in ways that we aren’t able to in our lives very much anymore. 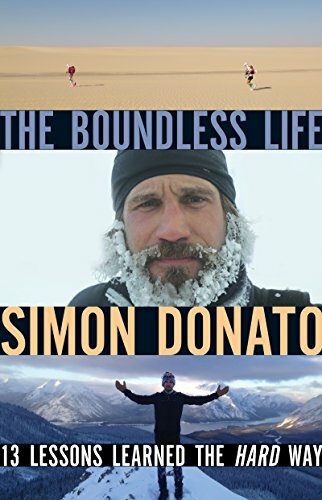 Describing the key moments and adventures that put him on the path to Boundless, Simon takes you on an adventure-filled journey around the globe and shows how you can apply his lessons and experience to your everyday life.